Barcelona are reportedly on alert as it’s now a matter of weeks before they can begin negotiations with Adrien Rabiot to sign him on a free next summer. The 23-year-old’s current deal with Paris Saint-Germain expires at the end of the season, and there has been no public suggestion at least that a renewal is imminent. With that in mind, it will keep alerted parties monitoring the situation, and according to Mundo Deportivo, Barcelona are among that group and know that they can start talks with the Frenchman in six weeks time as rules permit other clubs to discuss terms from January onwards. Time will tell if an agreement is reached before then between PSG and Rabiot, but with the reported interest from Barcelona, it would perhaps be no real surprise if he delayed that until he gets an opportunity to speak with the Catalan giants. Given his technical quality and creative class in midfield, the French international would arguably be a perfect fit for Barca in terms of adapting to their style of play and being comfortable in possession. In turn, signing him in the summer on a free could be a stroke of genius, provided that they can convince him to leave PSG and move to the Nou Camp. 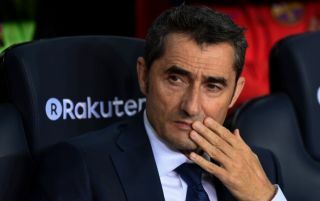 Meanwhile, Mundo Deportivo also add that €78m could be raised by the Spanish champions through the sales of Paco Alcacer and Paulinho to Borussia Dortmund and Guangzhou Evergrande respectively. Alcacer has been an instant hit on his loan spell in Germany, scoring nine goals in eight games. In turn, it’s suggested that as per the terms of his move, he could seal a permanent switch for €28m. As for Paulinho, he could fetch €50m, and so given there is no space for either to really make an impact at Barcelona, adding €78m to the transfer kitty or to cover other debts could be great business from the club.